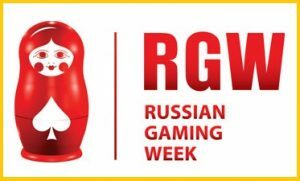 The eleventh annual Russian Gaming Week occurred recently in June 2017. The event was run by Smile-Expo, a popular exhibition company. It is the largest online gaming event to be held annually in Russia. It offered a powerful look into the industry and especially featured numerous points relating to the field and how it operates in general. The occasion is a very prominent event around must of Russia as far as to online gaming community is considered. It is an event that brings about various online casino players into the area as well as some of the many developers who work to produce the programs needed to keep such activities up and running. Information on different new programs and functions being highlighted within the state was also made available to the public. The general effort of the event was to get information out to the public on new activities and events while also promoting a number of connections between investors of all sorts. Discussions on various laws and legislative measures were also held at the event to get more people to participate and understand what is happening within the industry in general. All of the activities for the event were held at the Sokolniki Exhibition and Convention Centre in Moscow. The event held many presentations from Russian online gaming groups and providers as well as a number of international clients. Many discussions were held on important topics within the gaming industry. Much of this included understanding gaming zones around the country as well as looking into developments in mobile and social network gambling activities. The general work for getting more functions to be made legal and fully regulated in the country has been a major point of discussion around Russia. This especially comes amid a desire to get the industry to keep on growing and to work with a much larger variety of games and services in general. The Betting Awards 2017 were also held at the special week. This included awards given to those who were deemed the best in the country in terms of betting networks, online bookmaking providers and betting portals among many other fields. The work is to offer recognition to all those in the field who stand out and offer some of the best possible services around. Various services relating to online gaming activities and betting shops have been heralded at the event as well. The numerous entities that made their decisions on the best services available included many prominent service providers who work with payment services, media promotion efforts and preparing odds among other points. Many people who enjoy playing such games were also eligible to vote. The efforts within the industry were especially strong and critical to the success of the program. This special promotional week was particularly a necessity as it especially came amid a strong desire to highlight a number of programs in Russia as the gambling industry continues to grow and spread out around much of the country.